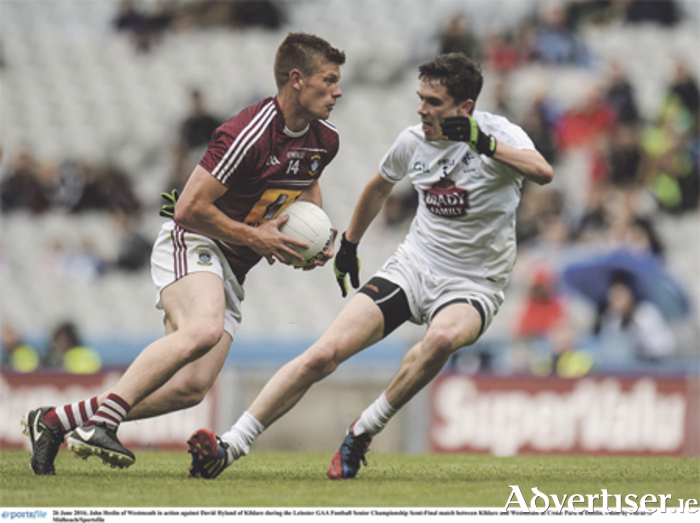 Westmeath manager Tom Cribbin believes the Midlanders can cause a Leinster Senior Football Championship Final shock against Dublin at Croke Park on Sunday. Having reached the 2015 provincial decider, Cribbin is adamant that Westmeath can seriously test the All-Ireland champions at GAA headquarters. “Last year, we probably didn’t honestly believe that we could,” Cribbin admitted. “This year, we believe we can. There is more belief because we are willing to throw caution to the wind now. “Last year, they were terrified because we saw Longford and a few teams that went at them, and they got demoralised and were beaten by 20-odd points, and we didn’t want that to happen - we wanted to give a performance without getting demoralised. Cribbin reckons Westmeath will have benefitted from the experience gained at the same stage 12 months ago. Since defeating Kildare at the penultimate stage in Leinster, Cribbin and his team have dissected Dublin’s recent performances. Dublin midfielder Brian Fenton admits Jim Gavin’s team learned some valuable lessons against Westmeath in the 2015 Leinster SFC Final. Fenton, who enjoyed a standout debut campaign, was delighted to be involved in the provincial decider at Croke Park. Fenton is adamant that Westmeath carry a significant threat, highlighting Paul Sharry and John Heslin’s effectiveness. However, having defeated Laois and Meath in the Leinster Championship, Fenton is encouraged by Dublin’s recent form.